Young Musician of Dyfed is a competition open to instrumental players Grade 5 equivalent or above and in full time education or with a full time residential address in Carmarthenshire, Ceredigion and Pembrokeshire. The final will have rehearsals during the day for the finalists and the competition and adjudication will take place at 7.30. It will all be in the Concert Hall at Rhosygilwen, Cardigan. Everyone taking part is offered a FREE masterclass led by two well established professional musicians. This is a great way to learn, to gain inspiration for your own personal development and to take away a wealth of knowledge that you can apply to all aspects of your own playing. 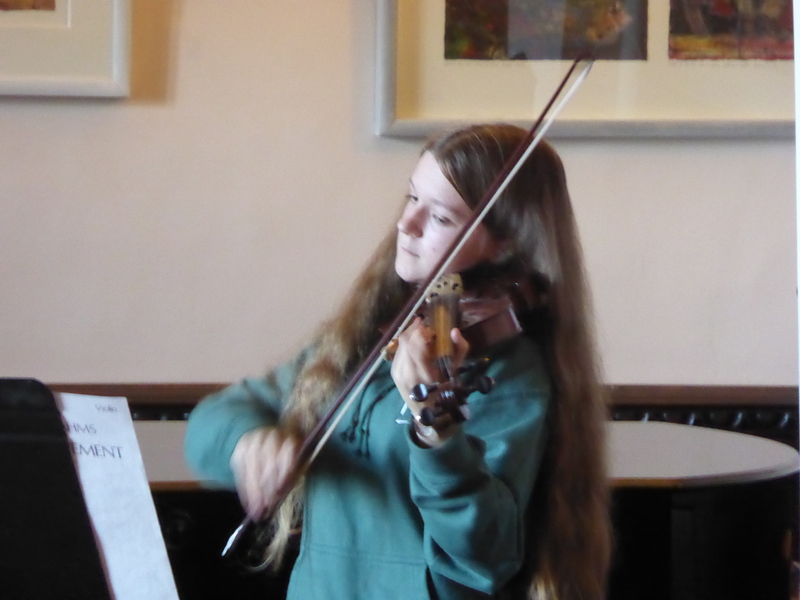 Following the masterclasses, five young musicians are invited to give a solo concert performance leading to the award of the title Young Musician of Dyfed. All five are also given further performing opportunities in collaboration with local music festivals and societies. This year the masterclasses will take place on Saturday 27 and Sunday 28 October 2018 at Neuadd y Dderwen, Rhosygilwen near Cilgerran. They will be led by Head of Brass and Percussion at the Royal Welsh College of Music and Drama Kevin Price and pianist and composer Andrew Wilson-Dickson. They have both worked with young people over many years and are fantastic communicators. The atmosphere is relaxed and informal. Andrew and Kevin will not be offering technical advice (that’s best left to your teacher) but rather encouraging you to explore your interpretation of the music and developing your performance skills. The aim is to help increase your confidence when playing – be it at a concert, a school assembly or in an exam.